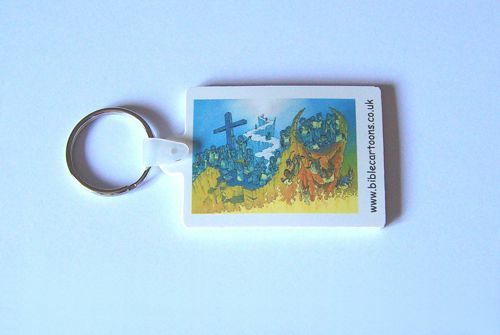 This keyring uses a Bible Cartoon. Use Back button to return here. All artwork, pictures and contents Copyright © 2011 - 2019 Martin Young.